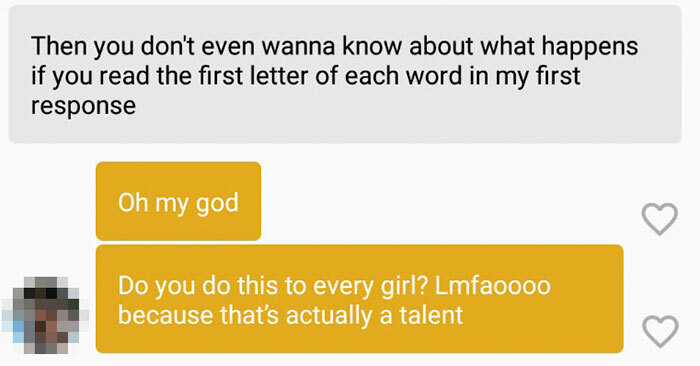 Tinder is overall a wild experience, considering many conversations often go south (pun intended) real quick. 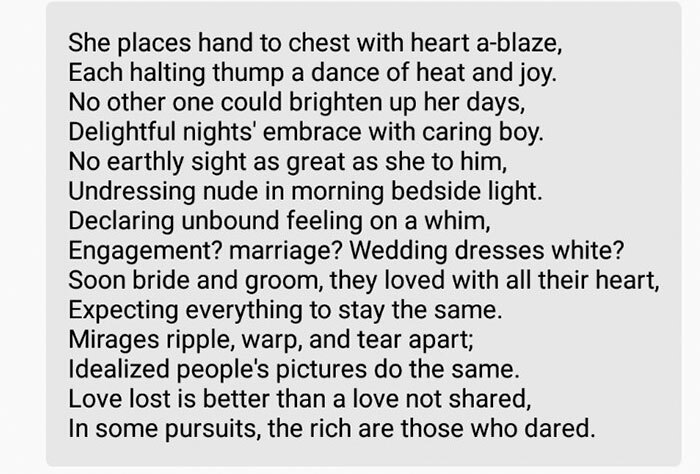 Navigating through weird matches is not an easy task, but every once in a while it is possible to find people who stand out from the crowd. 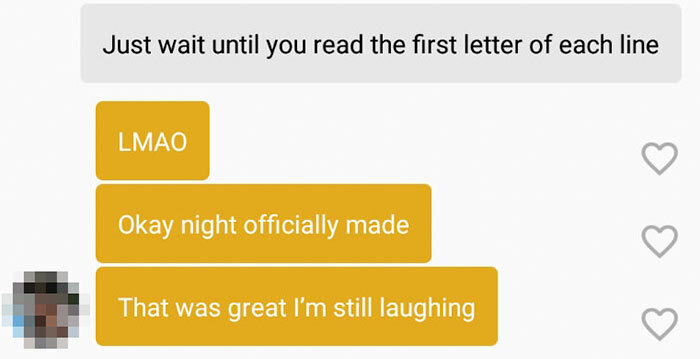 Reddit user drewhead118 came to the playground prepared, employing his unique writing skills to get a girl’s number, and perhaps even more. 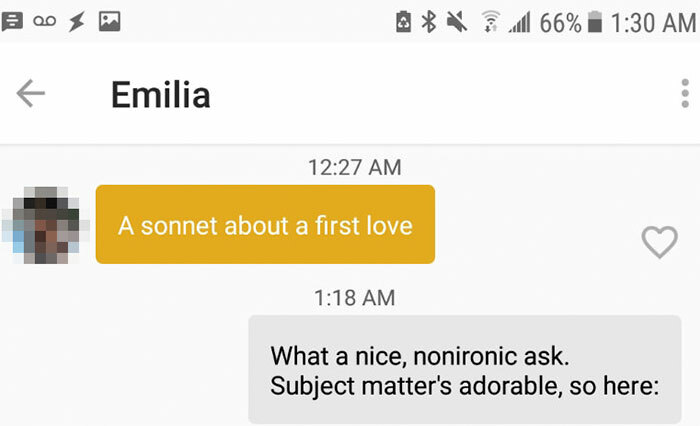 The guy carefully crafted a genius puzzle into the sonnet that a girl he matched with, Emilia, requested and it was surely an interesting read. 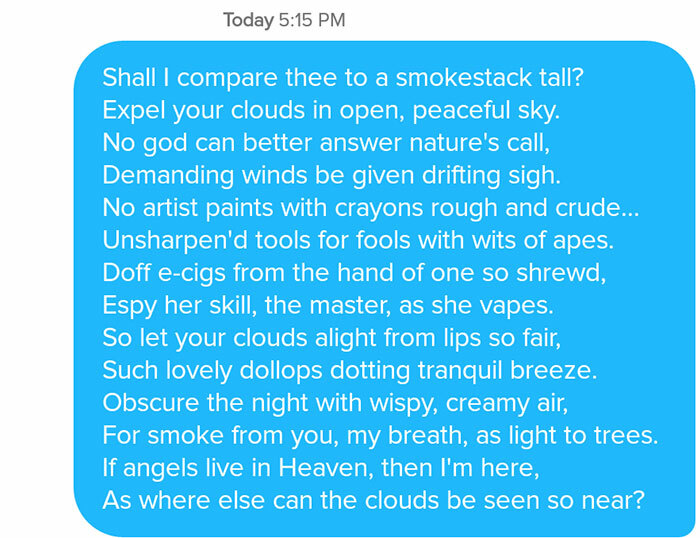 Scroll down below to see what this modern Shakespeare wrote and find out if it worked!